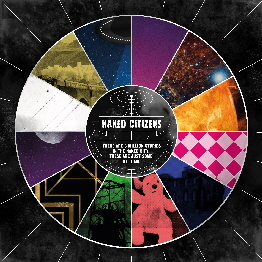 This Following on from the huge success of the single “Space Touring” this summer, Country Mile are proud to release the full album by Naked Citizens!! Naked Citizens are a South Wales musical collective that have recorded a collection of amazing songs in a variety of styles with musicians from some of the finest acts in the area. Part vaudeville show, part twisted Top of The Pops LP, The Naked Citizens have redefined the compilation album into a collage of 21st Century society snapshots that us at turns uplifting, furious and tragic. A kind of “Now That’s What I call Disillusionment Volume 1” if you like! The songs, written from of a range of ages and viewpoints, have lyrics that are at turns sad, funny and spiky, and music which is diverse and uplifting and features styles as diverse as Gospel, Glam Rock, Space Disco, Electro Swing, 50s Rock & Roll, Indie and Argentine Tango.